For many patients the road to recovery takes a little longer than a regular hospital can accommodate. They need more time in a health care facility dedicated to nurturing the person, while treating their complex medical conditions. Grace Hospital Is Just Such A Place. 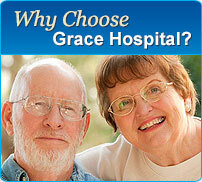 Grace Hospital was the first certified Long Term Acute Care Facility in Cuyahoga County. Patient average length of stay is 25 days, because they require a well coordinated level of care, over a long period of time, their road brings them here. In March 2002, The Joint Commission, together with the Centers for Medicare and Medicaid Services (CMS), launched a national campaign to urge patients to take a role in preventing health care errors by becoming active, involved and informed participants on the health care team. 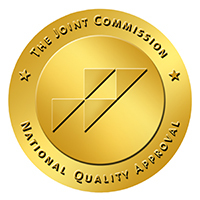 Use a hospital, clinic, surgery center, or other type of health care organization that has undergone a rigorous on-site evaluation against established state-of-the-art quality and safety standards, such as that provided by Joint Commission. Did you know that Grace Hospital's restored Olney Mansion in historic Tremont is available for your next corporate event, wedding, shower or any other celebration! Exclusive catering is provided by A Taste of Excellence, give them a call to book an event in the New Year at 440-845-0800. Visit their website for more information.